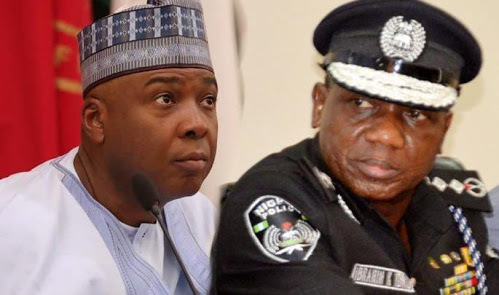 More suspects in the April 5 bloody robbery in Offa, Kwara State, have been linked with Senate President Bukola Saraki, the police has revealed. Police spokesman Jimoh Moshood said five of the suspects attended Saraki daughter’s wedding. 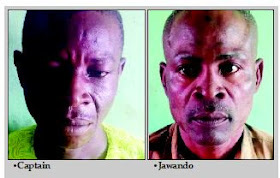 He said three suspected gang leaders – Ayoade Akinnibosun, Ibikunle Ogunleye (aka Arrow) and Adeola Abraham – followed Dr. Saraki to the palace of the towns’ traditional ruler, the Oloffa of Offa, when he visited the town after they themselves committed the deadly robbery. Moshood displayed photographs which showed one of the suspects wearing the uniform (asoebi) used during Saraki daughter’s wedding. Moshood said Saraki was still under investigation, adding that the police would not be deterred in their investigation - no matter who is involved.